Wino Wednesday is back at Marfreless. 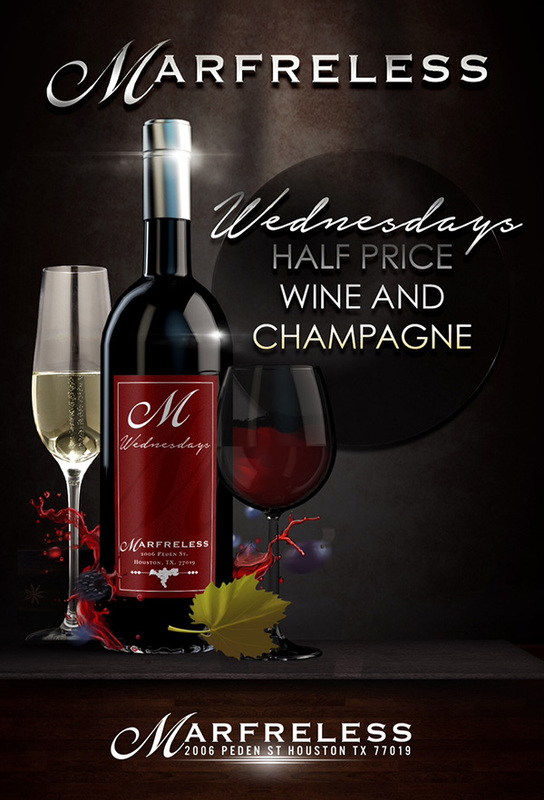 Bring a friend or meet a friend for half off wine or champagne by the bottle. This is an all day special to facilitate all day drinking, so get moving.